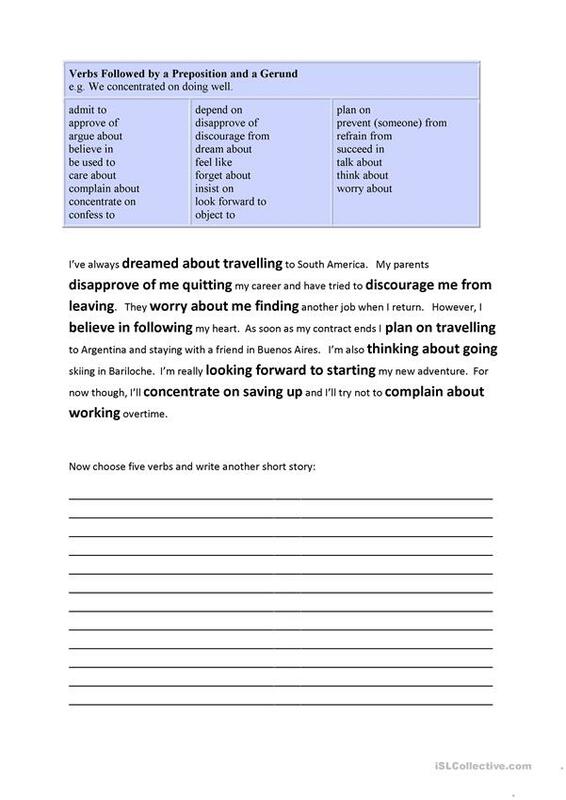 A worksheet that illustrates the use of verbs which are followed by a preposition and a gerund. Students read the example text then invents a story of their own using some of the verbs given. The present printable, downloadable handout is intended for business/professional students, high school students and adults at Upper-intermediate (B2), Advanced (C1) and Proficient (C2) level. It is a useful material for revising Gerunds and Infinitives in English, and can be used for developing your students' Writing skills.